My husband and I just finished a 6 week stretch of weddings, bachelor/bachelorette parties, and wedding showers. I love seeing the creativity and crafts that accompany weddings. My favorite part of planning our wedding was flipping through magazines looking for DIY decorations that had the perfect balance of creativity and class. We got married on Catalina Island, off the coast of Long Beach, California. 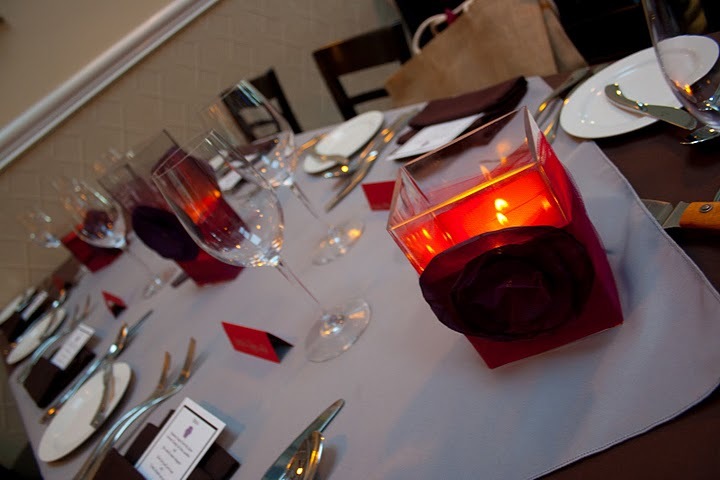 Everything I needed for decorations, I had to lug out and back…so I quickly nixed live flowers and opted for candle center pieces and DIY flowers. Even now, I continue to find new uses for all the leftovers! 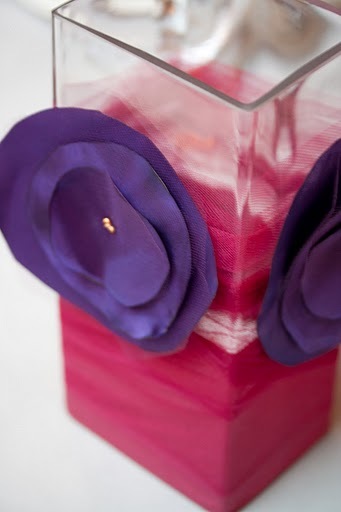 The best part about these flowers is the perfection is NOT necessary…my favorite type of DIY! 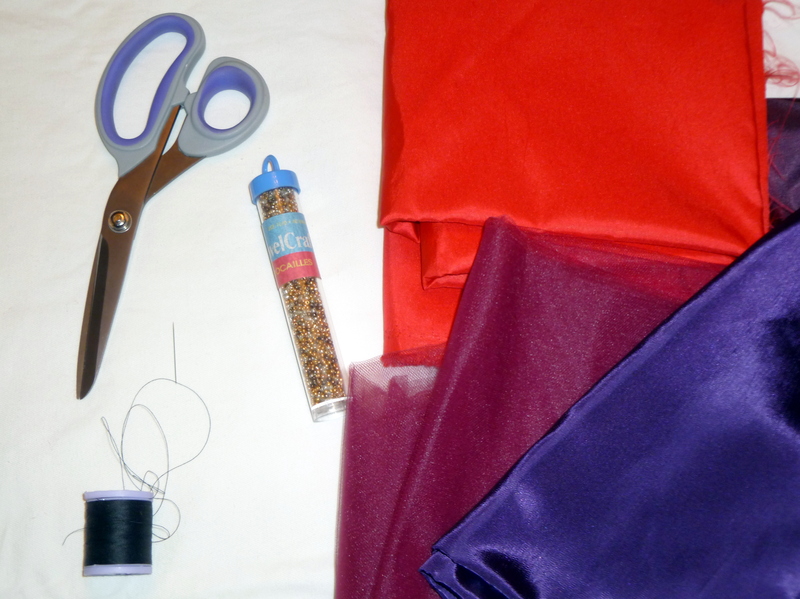 To get started, you will need a pair of scissors, needle and thread, beads, paper, pen, tulle, and fabric. I used a taffeta like polyester blend. To be honest, I did a little guess and check. I bought a few different kinds and tested how the burned. You don’t want a fabric that will catch on fire, but will just slowly singe along the edge. 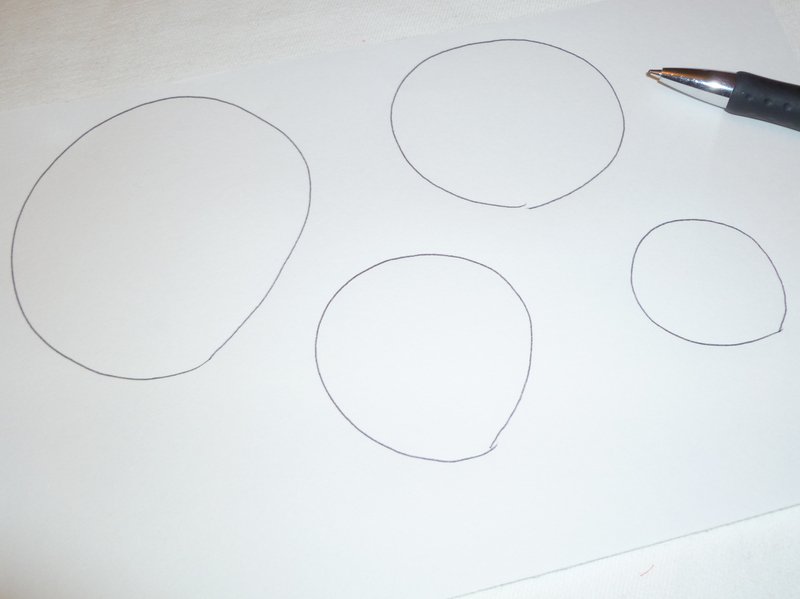 Use the circles as templates to cut out the circles in fabric and tulle. With a lit candle, in an open area, lightly run the fabric over, with the edge just slightly brushing the flame. You will see that the fabric curls at it is singed giving it more volume. Layer the fabric and tulle circles, starting with the largest fabric circle, followed by the largest tulle circle, and continue alternating with the littlest tulle circle on the top. 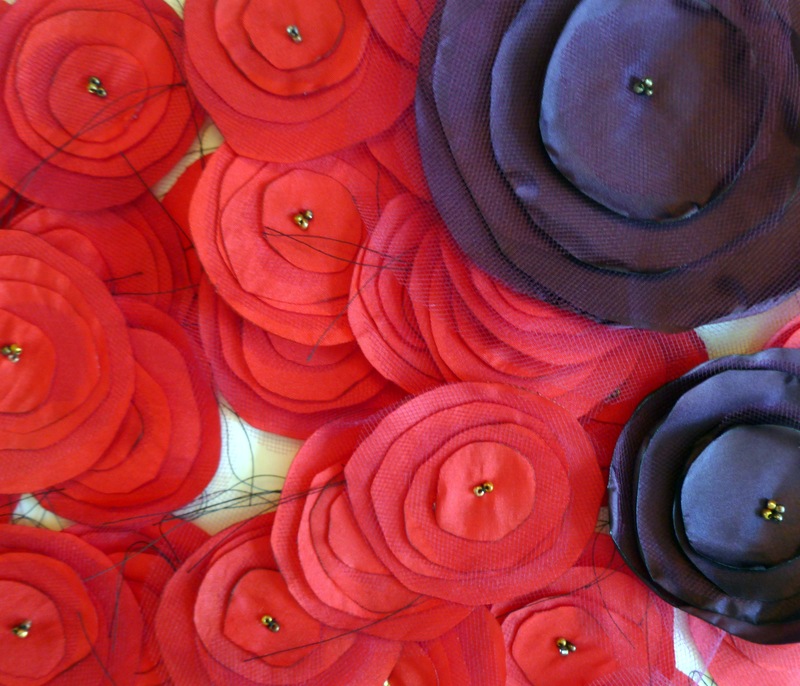 With the flower stack in one hand, thread the needle from the backside and add 4 beads. Thread back down and repeat 4-5 times staying close to the center of the flower. Knot the thread on the back…and Voila! A Flower! The best way to tackle this is to have a few friends over. In my case, my 2 little sisters came over for an evening of wine and flowers. Alli cut out the circles, I singed all the edges, and Hillary manned the needle and thread! In a matter of a few hours we had a pile of 30. It’s also a great thing to do while watching mindless TV. 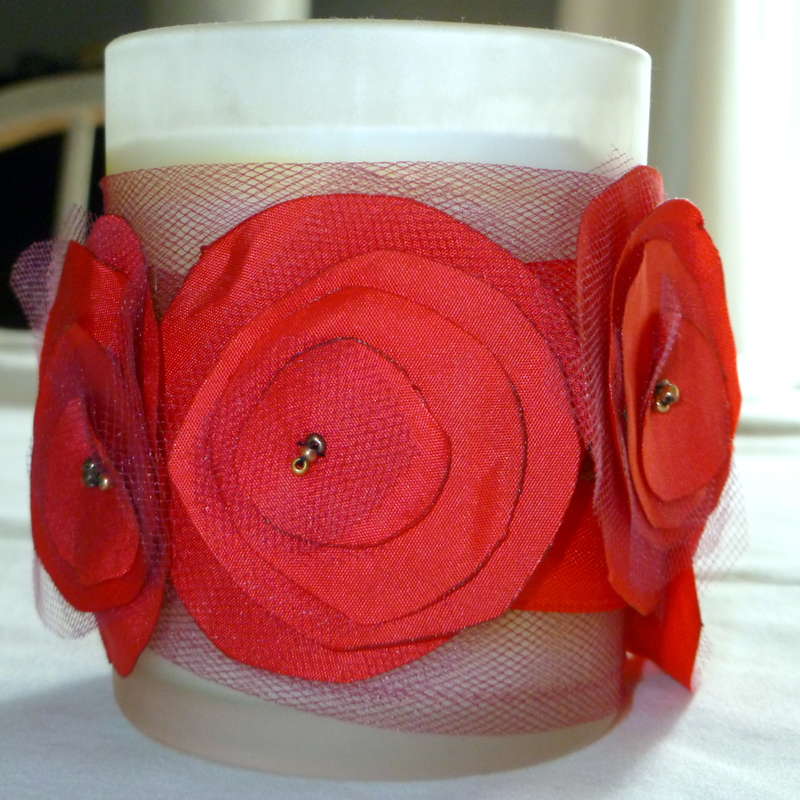 For my wedding, I wrapped the tulle around a rectangular ikea vase and pinned on the flower. And then after the wedding, I was left with a pile of extras. I pinned them to a ribbon wrapped around a candle to brighten the bathroom! 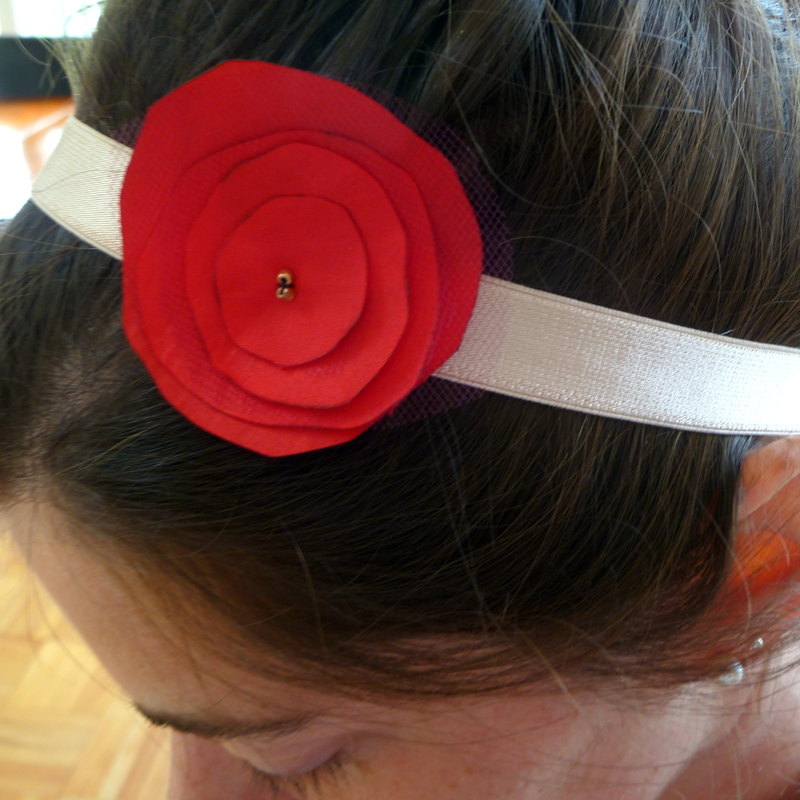 I sewed them to a headband! I used them as wine tags/identifiers! 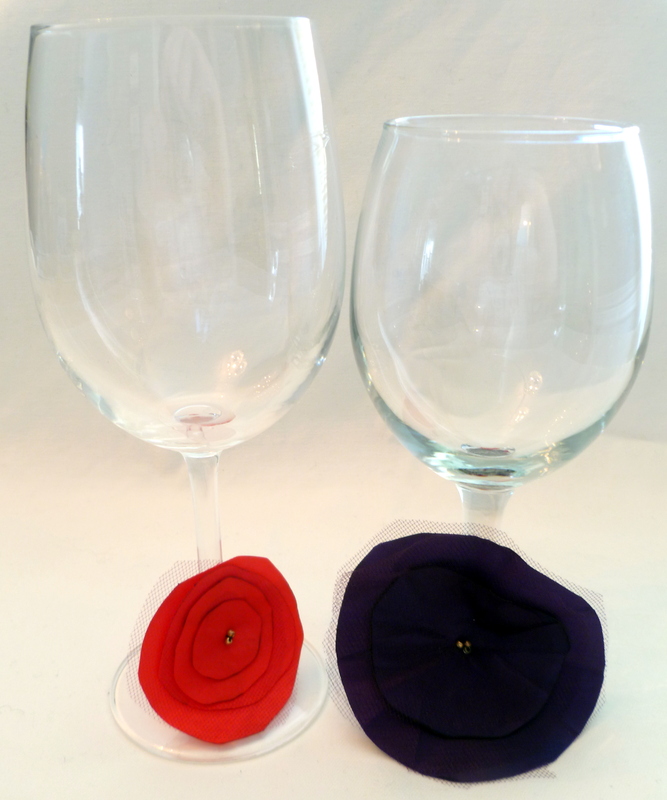 Can you imagine how great this would look with a bunch of glasses each with different colored flowers!! I’ve just never made them in more than 2 colors…but I always think about how good it would look! was that time consuming to make? i tried making doiley flowers and it took me half a hr to complete 2. was half distracted by the tv! hAaha, what did you do with all the left overs? do you re-use them? i always cant bear to throw the dirtied ones away after a party.